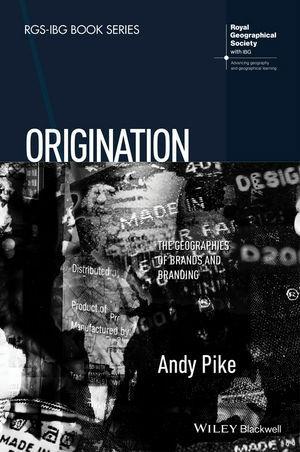 Origination: The Geographies of Brands and Branding offers innovative theoretical and conceptual frameworks relating to the ways that actors create meaning and value in commodity brands and branding through processes of geographical association. Andy Pike is Professor of Local and Regional Development and Director of the Centre for Urban and Regional Development Studies (CURDS), Newcastle University, UK. He is co-author of Local and Regional Development (2006) (with Andrés Rodríguez-Pose and John Tomaney), editor of Brands and Branding Geographies (2011), and co-editor of Handbook of Local and Regional Development (2011) (with Andrés Rodríguez-Pose and John Tomaney).